Danielle and Andrew, a young couple from Australia recently working and living in the UK had falolen in love with Santorini while on vacation here and decided a year later to make their dream of a Santorini wedding a reality. 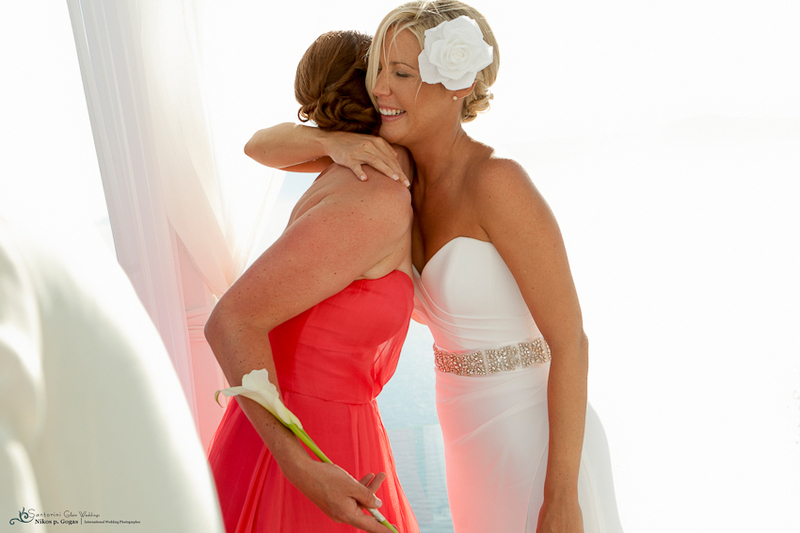 With the professional wedding designing experience of Julia Nicolaou from Santorini Glam weddings the couple brought together friends and family from all over the world who traveled to our breathtaking island and the Dana Villas wedding venue to be part of their wedding ceremony. 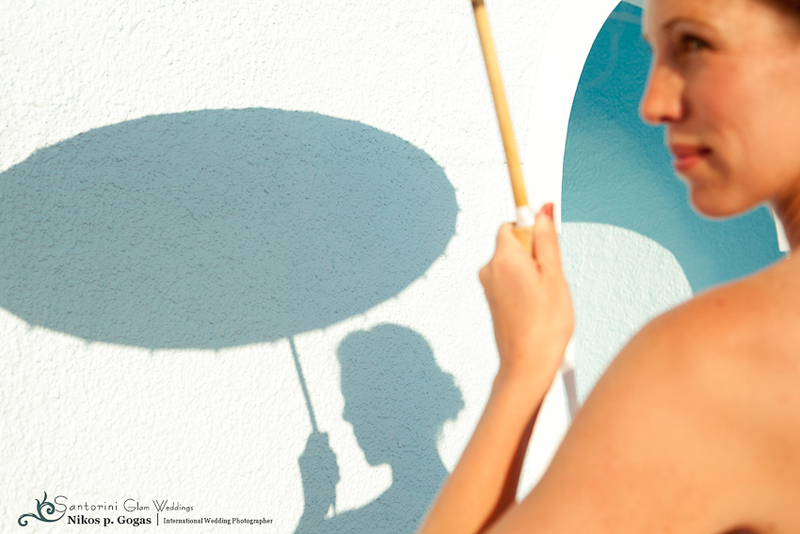 On a very hot day early in the afternoon the guests began to gather at Dana Villas and Wedding planner Julia Nicolaou had made sure to provide the guests with sun umbrellas to assure that they will all be protected from the intense heat of that day. 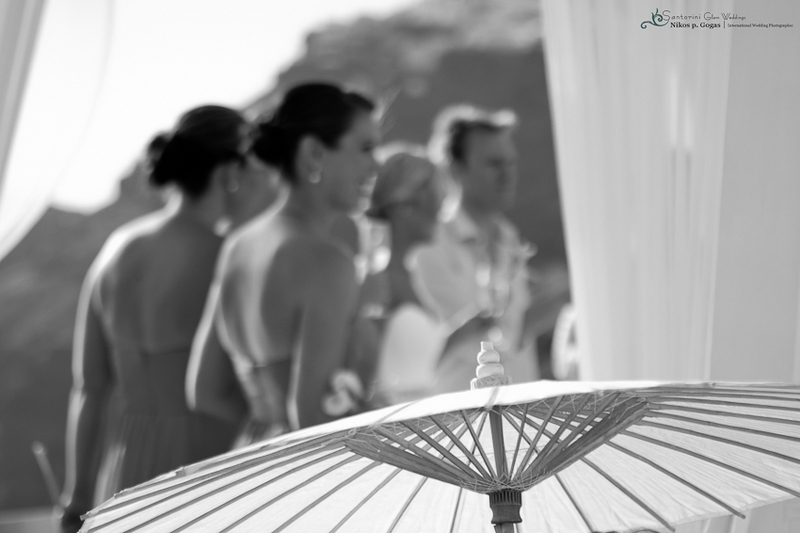 The umbrellas soon became part of the decoration and scenery as most guests chose to use one along with Danielle and Andrew. 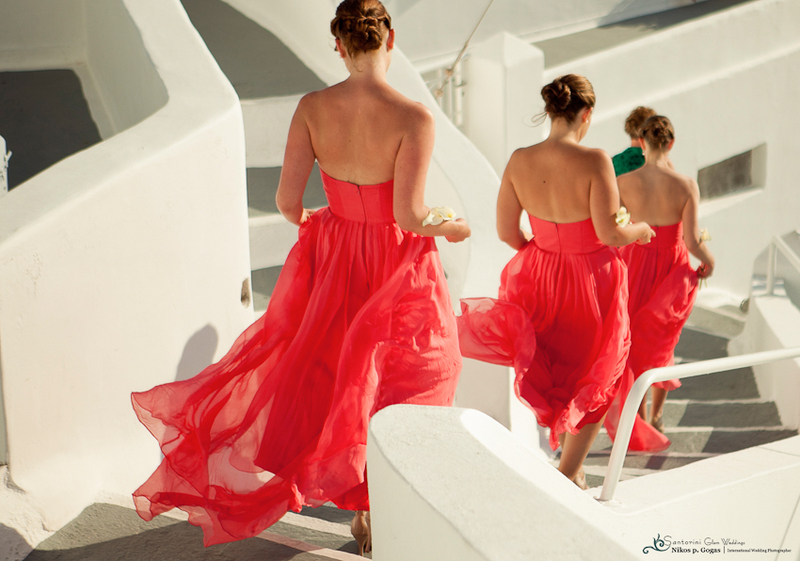 International Wedding Photographer Nikos P. Gogas was the couple’s desired photographer and captured all the moments, the love and the happiness. 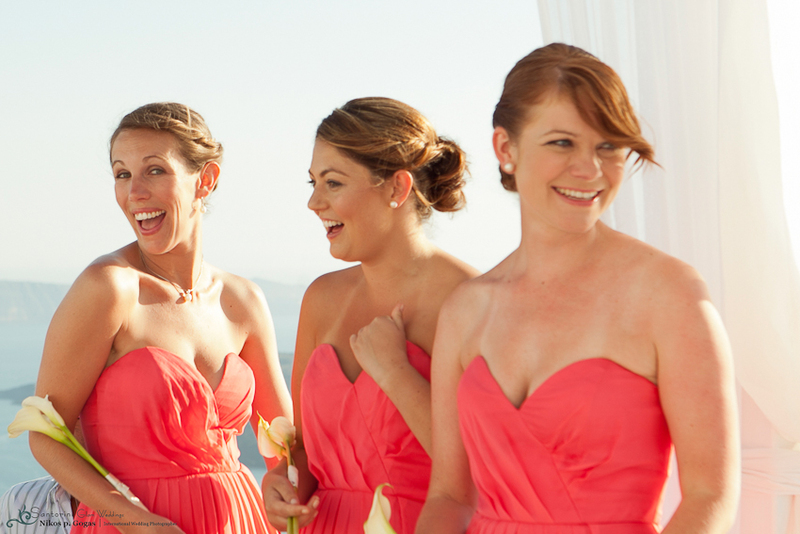 One of their dreams was a summer vacation in the gorgeous Greek islands so when they started to look into the Aegean island for their wedding location they could not help but fall in love with the romantic and breathtaking Island of Santorini. 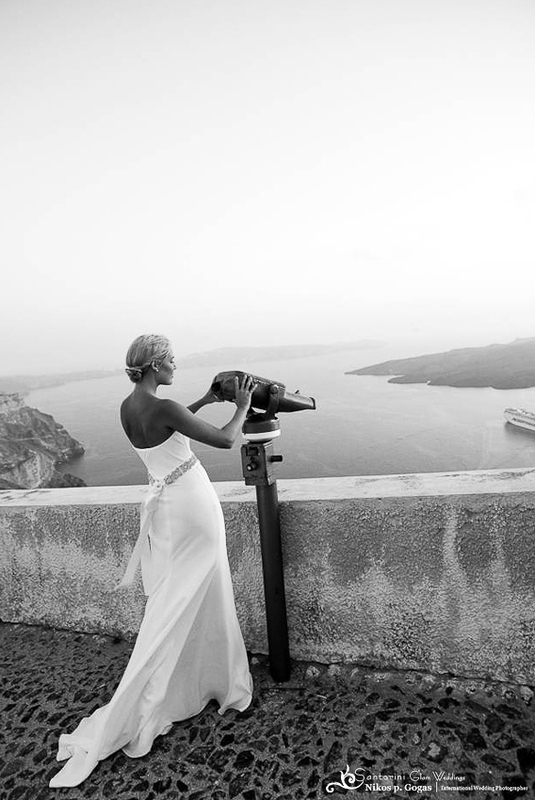 Santorini is one of the most spectacular wedding destinations in the world with traditional white washed houses and romantic settlements perched on cliffs 1000 feet over the bright blue Aegean waters and in direct view of the sunsets that are renowned for their beauty. 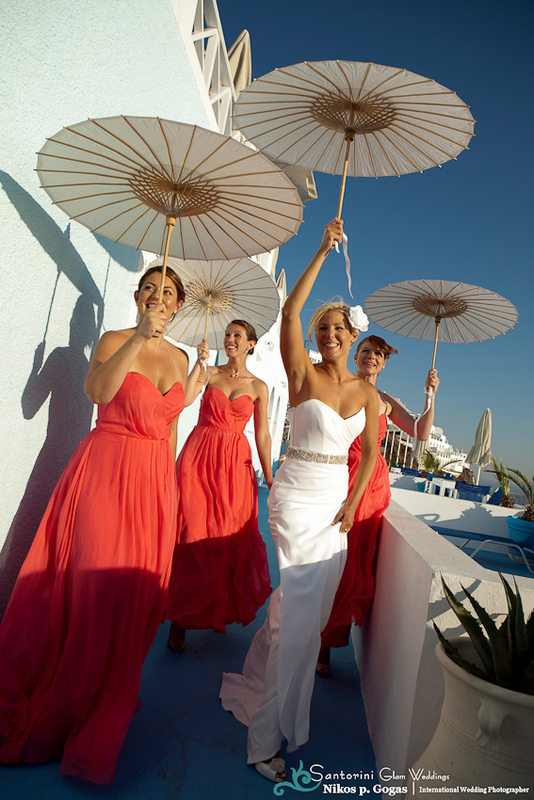 Danielle and Andrew said: “This is it, our dream wedding destination” Danielle and Andrew soon came in contact with wedding designer Julia Nicolaou from Santorini Glam Weddings. With years of experience in wedding planning, Julia guided Danielle and Andrew through the wedding planning process in order for their dream day to be exactly as they had imagined Arriving in Santorini, Danielle and Andrew knew that their guests would all be arriving many days earlier to also spend their vacation in Santorini so they planned a series of daily events to thank everyone for being there, ranging from pool side BBQ’s, wine tasting in the island wineries to a day of yacht sailing within the caldera crater bay. 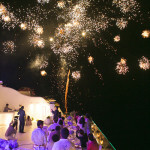 The lovely couple was blessed to have 50 friends and family members that traveled from all over the world, to the breathtaking island and the Dana Villas wedding venue, to be part of their wedding ceremony. 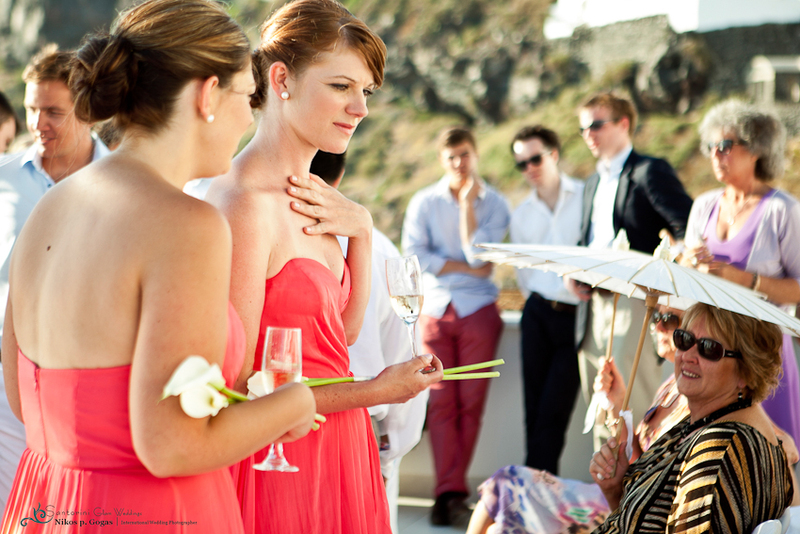 On a very hot day early in the afternoon the guests began to gather at the Dana Villas Cliffside wedding venue and wedding planner Julia Nicolaou had made sure to provide the guests with personal sun umbrellas to assure that they would all be protected from the intense heat of that day. 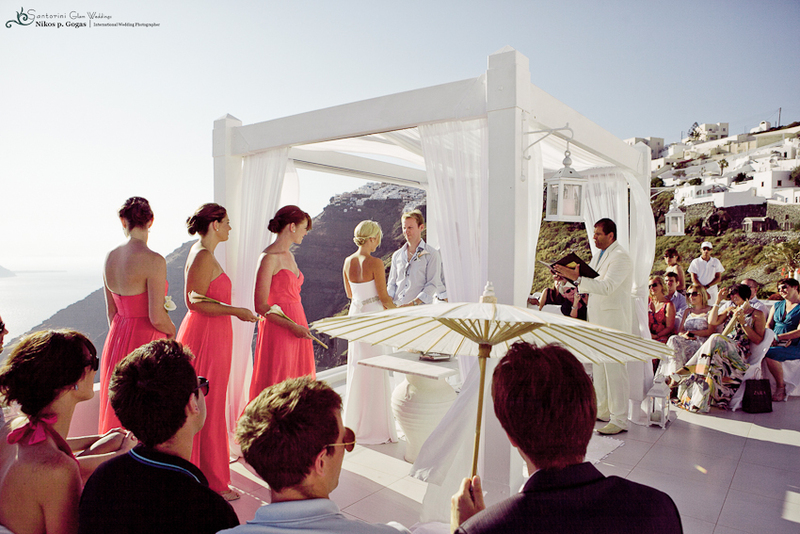 The umbrellas soon became part of the decoration and scenery as most guests chose to use one along with Danielle and Andrew. 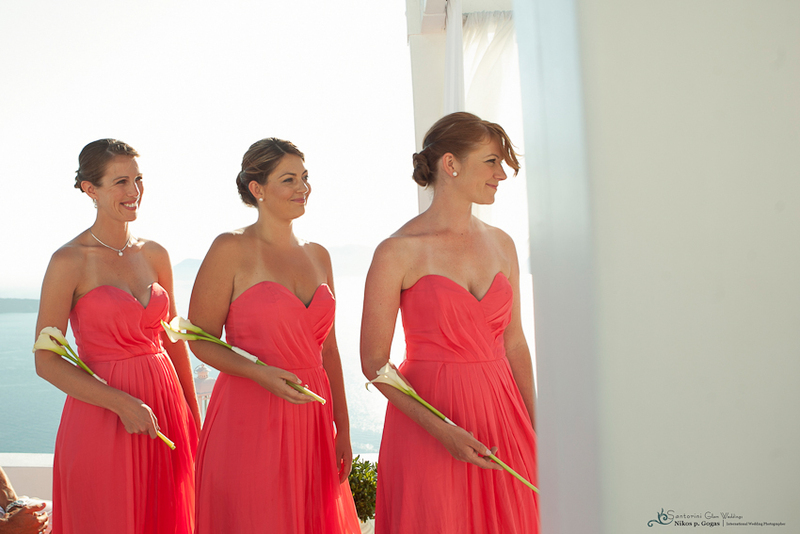 On a beautiful Santorini day Andrew and Danielle were pronounced husband and wife in view of the breathtaking caldera scenery. The two high school sweethearts look forward to a beautiful life together with common hopes and dreams for everything that future has in store for them. 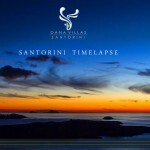 A special thank you from Dana Villas to Andrew & Danielle, Julia Nicolaou from Santorini Glam Weddings and Professional photographer Nikos P. Gogas for allowing us to use some of the amazing photography taken that day.